Suffering neck pain from infection can produce minor or severe symptoms in various parts of the neck, throat and dorsal anatomy. Infectious processes can affect tissues locally, regionally or systemically, making widespread expressions very possible in certain instances. Battling infection is a normal part of life, but bacterial and/or viral contamination can also become dire health threats in particular circumstances. It is always wise to see a physician immediately if you suspect that you may be suffering from an infectious process. 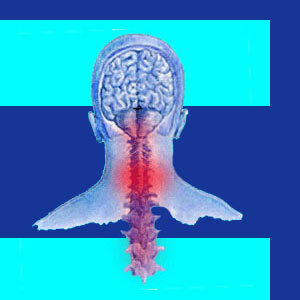 This discussion details how infections can cause neck pain and other related symptoms. Infectious processes can occur in any organic tissue. People can suffer infections in wounds, in natural cavities, in bones, in soft tissues and virtually anywhere in their bodies. The neck is certainly no exception to this rule. Many people are affected by throat and upper respiratory infections. When these also affect the ear, they can cause pain which might seem to originate in the neck. A variety of systemic infections, such as influenza, can cause wide-ranging symptoms, including muscular pain and weakness which may be present in the neck and/or back. Of course, infections in the neck anatomy are certainly likely to enact localized pain, heat, and possibly, redness. If the infection occurs in the cerebral spinal fluid of the neck, the consequences may be terrible. Meningitis, and other types of spinal fluid contaminants, can kill or cause grave injury. Proper diagnosis of any infectious process is crucial in order to ensure successful treatment. For obvious infections, this should not be a problem, but achieving an accurate and timely diagnosis for all types of infectious processes may prove virtually impossible. Discitis, for example, is a seldom seen infection of the spinal intervertebral discs. This type of infection can rage on for a long time before being discovered. Luckily, these infections are almost always seen in cases where particular risk factors will force doctors to investigate the possibility of discal infection, such as IV drug users, children and patients with compromised immune systems. Local or systemic infection it can usually be fully resolved by the body itself, but may require antibiotics to speed the process along. In extreme cases, surgical cleaning of infection may be necessary and may become a multiple procedure journey of pain. Serious infections, such as MRSA, may be treatment-resistant and can pose a real danger of permanent injury or death. Neck pain is a common side effect of ear, throat and systemic infectious processes. When a person is sick, they will generally feel awful and experience pain in multiple locations of the anatomy. This is nothing to fear, as long as more serious health threats have been ruled out. If you suspect an infectious process to be responsible for your neck pain, it is best to consult your physician for treatment advice. If the pain is chronic, then there might be a more sinister type of infection at work, although this is unlikely. Regardless, neck pain which is indeed caused by any infection should resolve fully once the contaminant is removed or nullified.